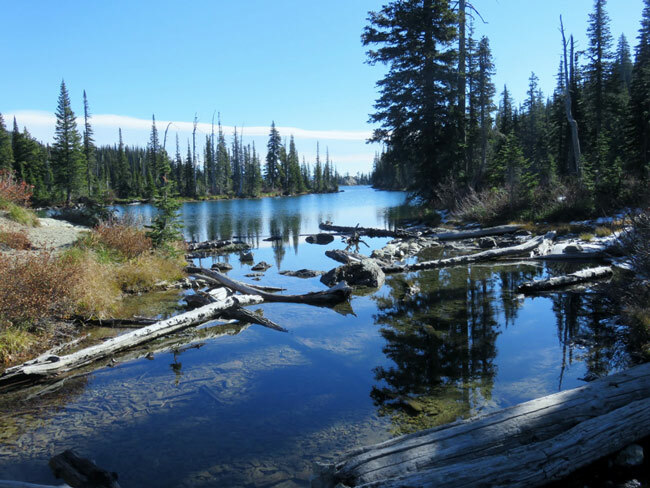 Swan Rangers Hike Birch Lake! 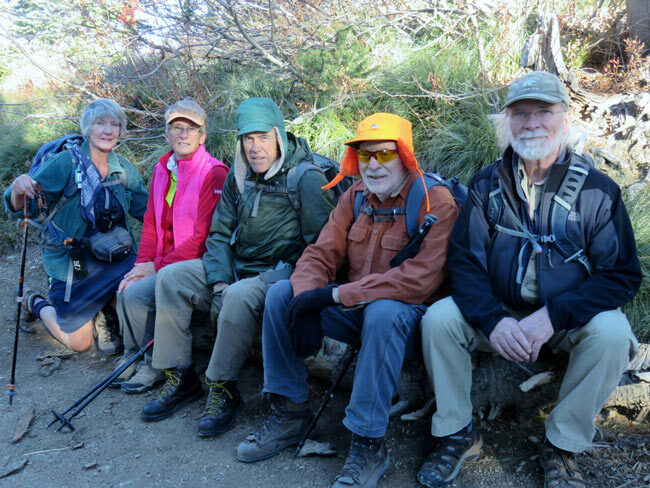 Six Swan Rangers hiked to Birch Lake in the Jewel Basin Hiking Area on a sunny Saturday, October 20, 2018! They beat the crowds and had the place to themselves! Click here for a map of Jewel Basin. Rangers posing as bumps on a log! 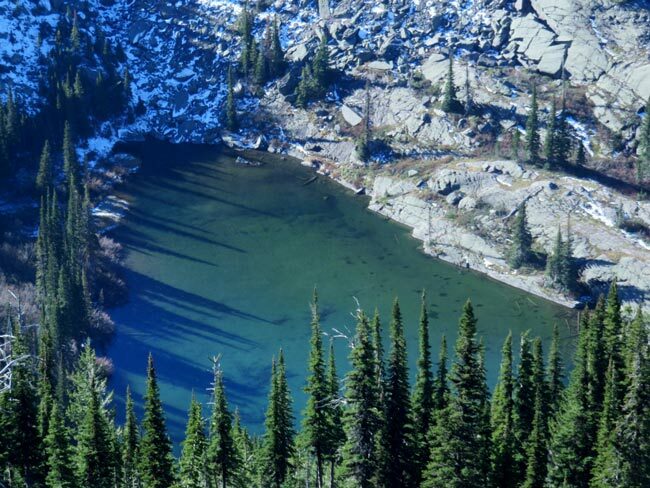 Martha Lake lies below the trail on the way to Birch Lake. 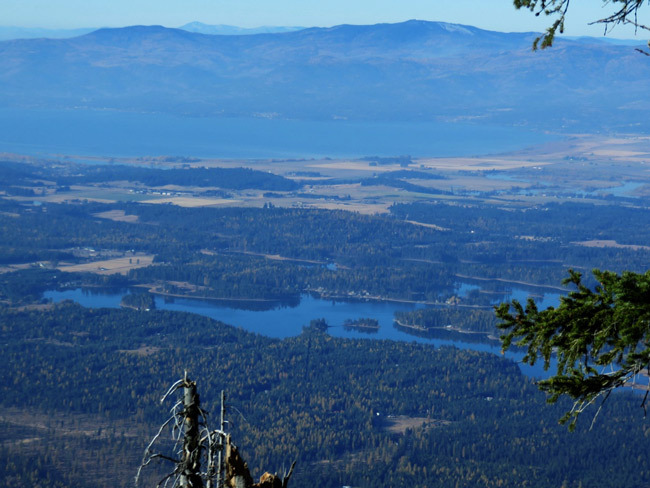 Echo Lake and Flathead Lake also lie below the trail . . . way below the trail! The Swan Rangers meet every Saturday at the Echo Lake Cafe for breakfast at 7:30, leaving at 8:30 for a partial day outing in the northern Swan Mountains and foothills. (These times will switch an hour later for Winter, starting Nov. 3)! 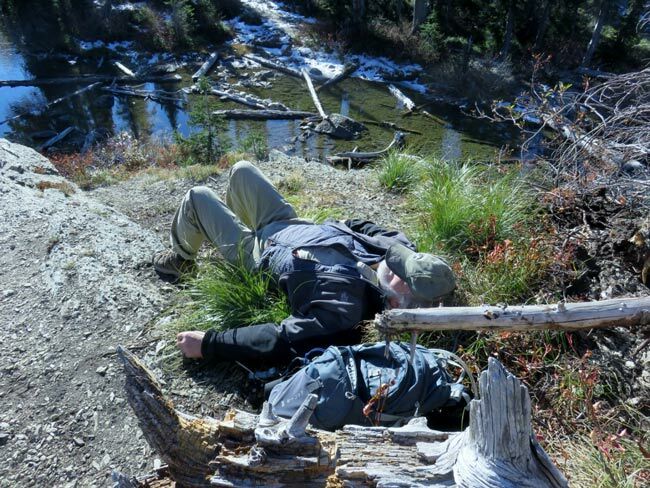 Big game hunting season is Oct. 18 - Nov. 25, so wear "hunter orange" and bright colors to be safe while hiking!